Please follow our new facebook page for reminders and updates live from the classroom! 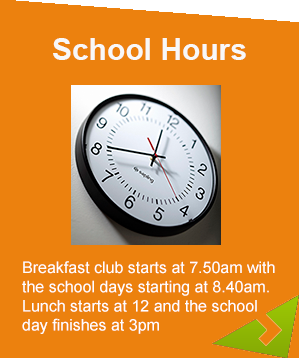 As Springwood Junior Academy’s Associate Principal, it gives me great pleasure to welcome you to our website. We are very proud of your children’s achievements and use our website as a tool to share those with you. Our curriculum is broad and balanced, and enables children to become immersed in their learning. 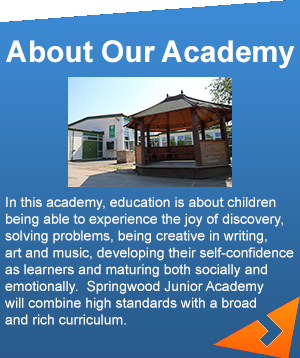 Staff at Springwood Junior Academy are part of a dedicated, talented team who work hard to achieve a world-leading education for your children. We have very high expectations of ourselves and the children within our care, excepting nothing less than impeccable. Respect, responsibility, commitment and resilience are constantly reinforced as part of our ‘hidden curriculum’ - one that we believe will equip your children to be responsible citizens. Our website is designed to be a valuable source of information. If you view our Facebook site you will see daily updates on our rich and diverse curriculum and the wonderful learning that takes place. Please take time to browse the class pages and latest news - you will love the photographs! We believe our Academy is going from strength to strength. In June 2018, Ofsted judged our school to be OUTSTANDING in all areas. We are immensely proud of this. You, as parents/carers, are the first and foremost educators of your children and we value your support and time that you dedicate to Home Learning and supporting the Academy at its many events / showcases. We value your feedback and working in partnership with you. I look forward to sharing an exciting journey of education and life-long learning with your children.